I have to say that I love the fact that my husband, Al, loves to cook. And, it’s pretty dang awesome that he likes to grocery shop as well. Yes, I am blessed. I say that often, but I mean it. I am not sure where I would be without him. Probably living on canned tuna, cereal, apples, bananas and frozen veggies! Lately, we have had some pretty delicious and rad meals. And I feel the need to share them with you. I am very sorry, my dear Weight Watchers members, I do not have the PointsPlus Values (PPVs) on what I am about to post. I know…shocking, isn’t it. There are times where I just guesstimate and it works out. Or I just put things in separately and not as a recipe. You get what I mean, right? Oh, wait, I do know the PPVs of the wine. I know…not so shocking, isn’t it. If by chance you were to drink a whole bottle of wine, it’s 22 PPVs. If you drink three-fourths of a bottle of wine, it’s 18 PPVs. 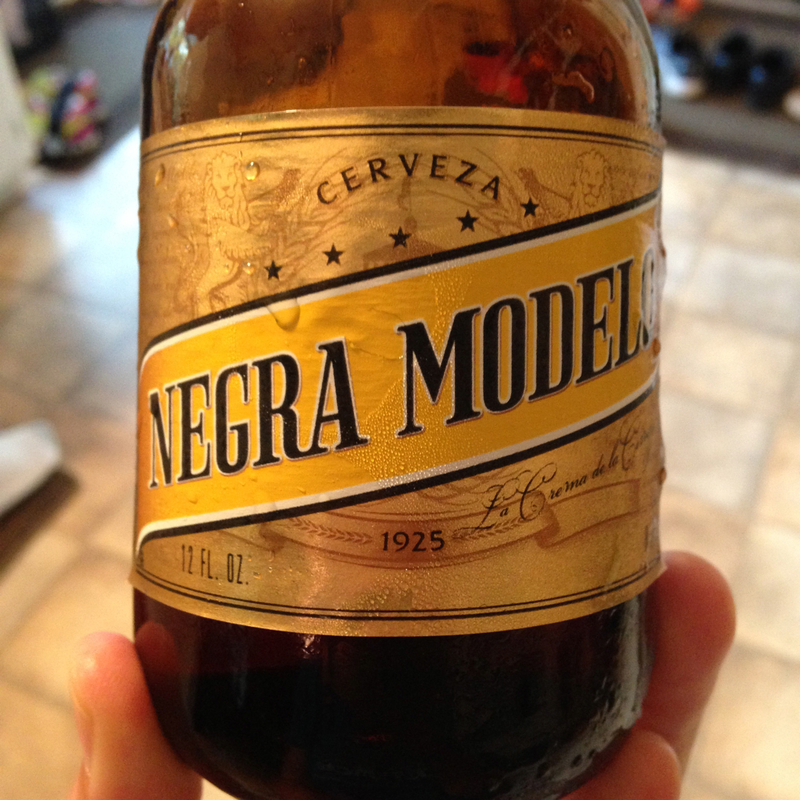 And yes, if you are wondering, I drink 18 of those nearly every single Saturday! Yep, call me a wine-o! I will start with our pasta meal we ate last Friday night, September 26. 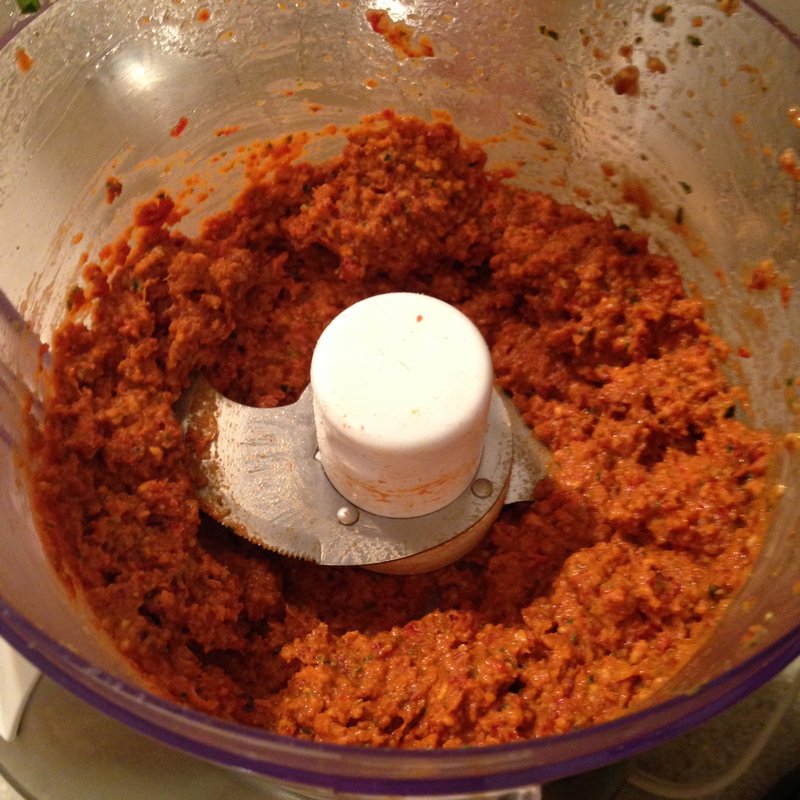 We planned on a 10-mile run on Saturday, so we knew we were going to make some kind of pasta. 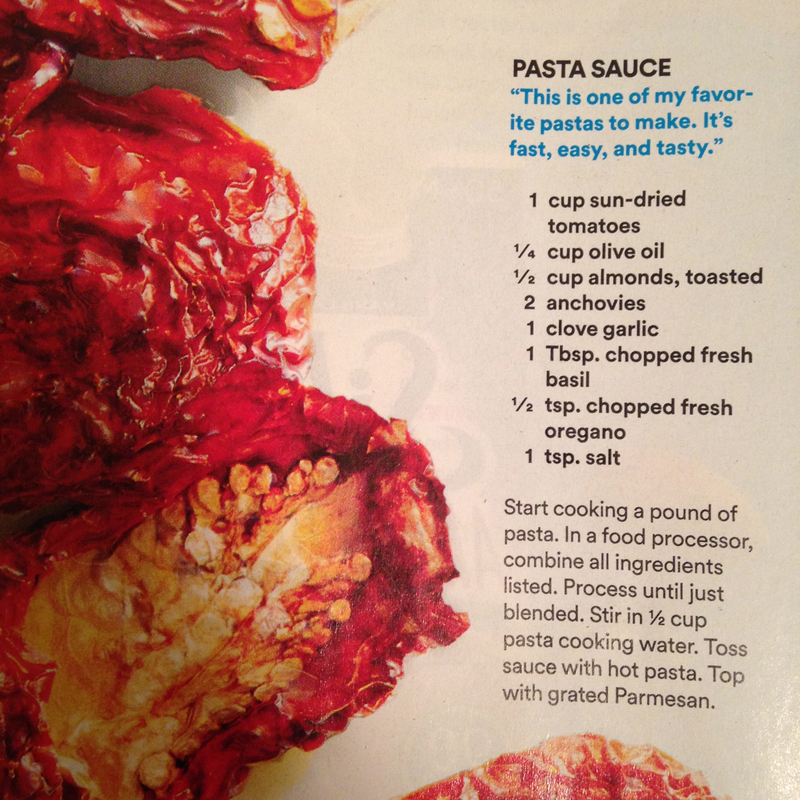 Al saw an awesome recipe for a different kind of pasta sauce in the latest edition of Runner’s World magazine. Yes, my FAVORITE magazine! 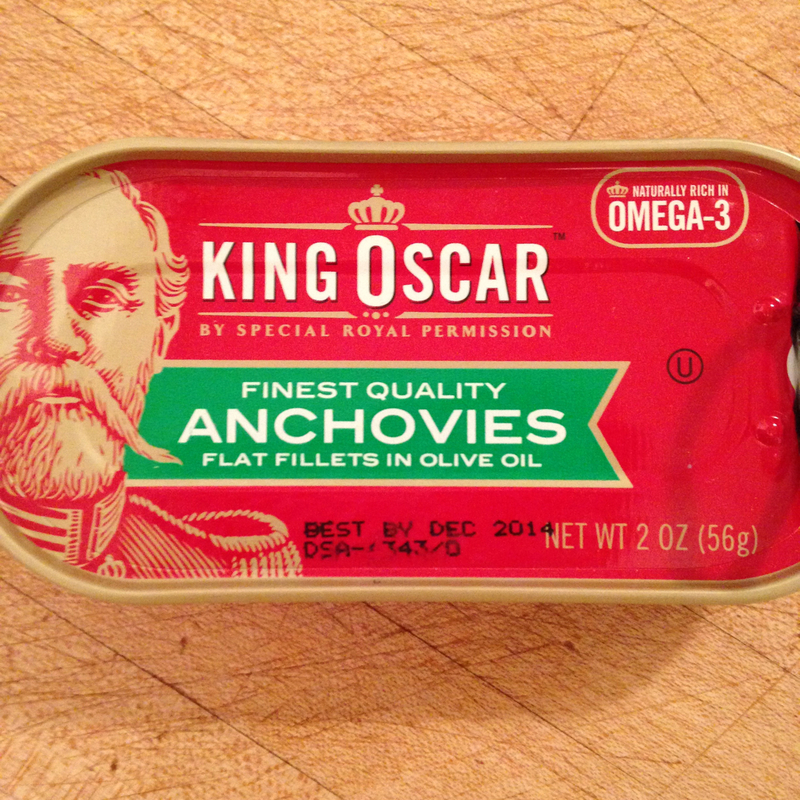 I already know what you’re thinking, “ANCHOVIES?!? !” Yep. 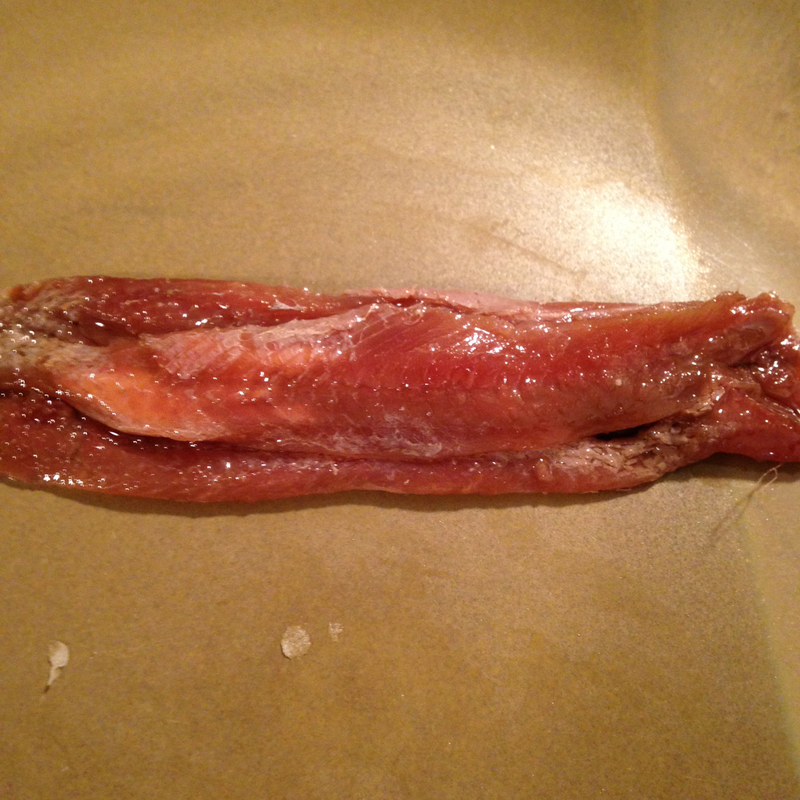 It called for anchovies. And yep, we used them. 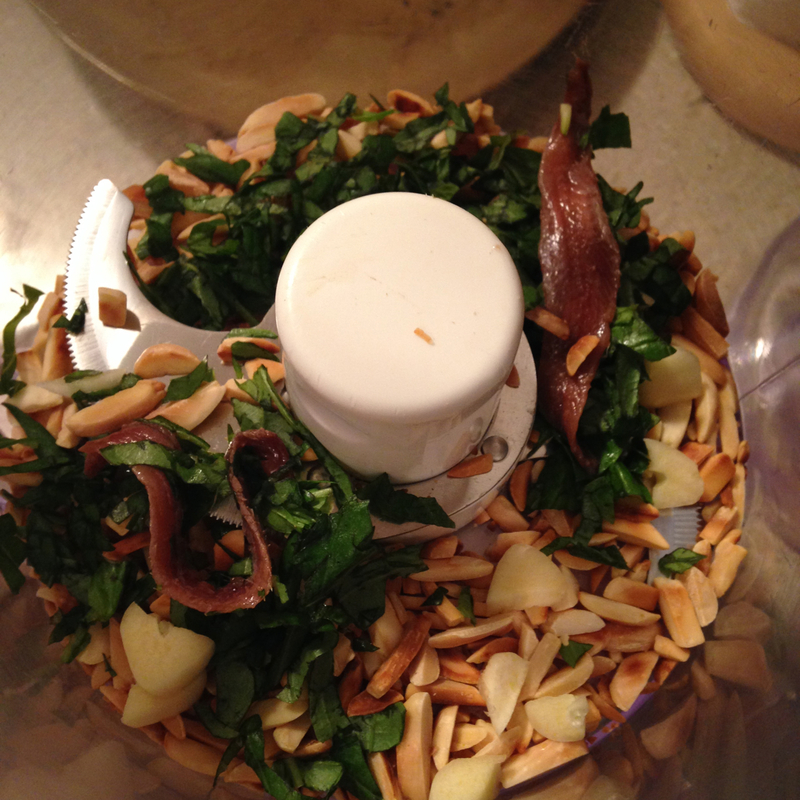 Here is most of the ingredients in the food processor. 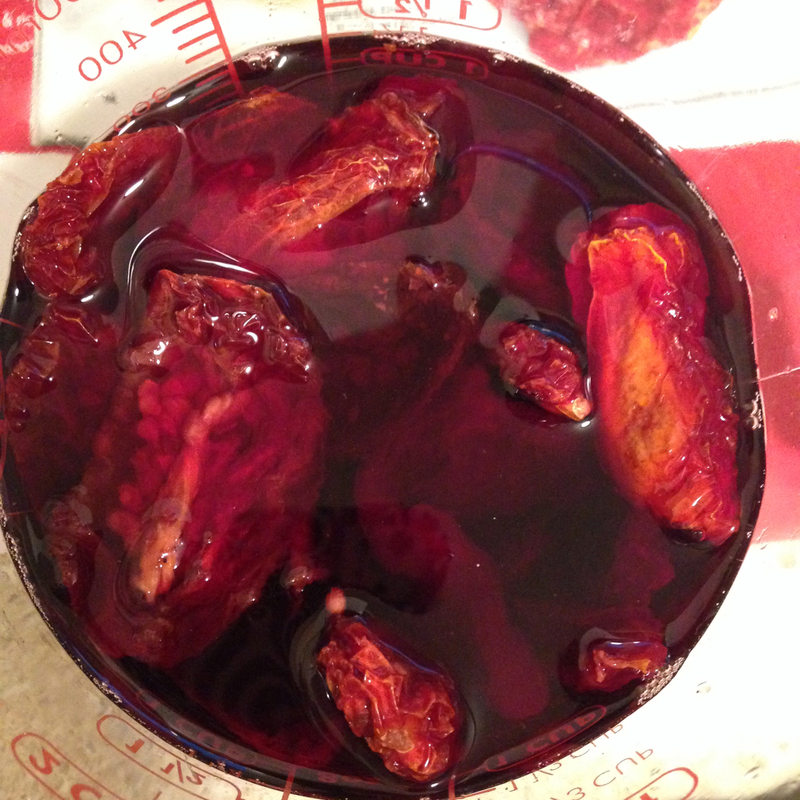 We had to wait a bit to add the sun-dried tomatoes because they were soaking…in red wine! I know, it kind of looks gross, but let me tell you, it wasn’t. I love sun-dried tomatoes and I love red wine and why we never thought of soaking our tomatoes in red wine before is a mystery! We drained most of the red wine off the tomatoes, but used some of it in the sauce, along with the pasta water, like the recipe called for. Here is the final product. It was a bit chunky, but full of flavor and surprisingly, it wasn’t all that salty. I expected it to be because of the anchovies, but it wasn’t. We did end up adding more water than what it called for because it WAS really thick! And here is the end result. We topped the pasta with a little bit of shredded parmesan cheese. And yes, even though it was a Friday night and I typically reserve my red wine drinking until Saturday, I did have ONE glass of wine (about 5 PPVs worth!) with my pasta. And let me tell you, it was beyond the perfect pairing. It was so unbelievably delicious! If you plan on making it, definitely add more pasta water than what the recipe calls for. I would at least double it. And then, if you want, add some red wine for extra added flavor! We used Merlot and it was the perfect addition! 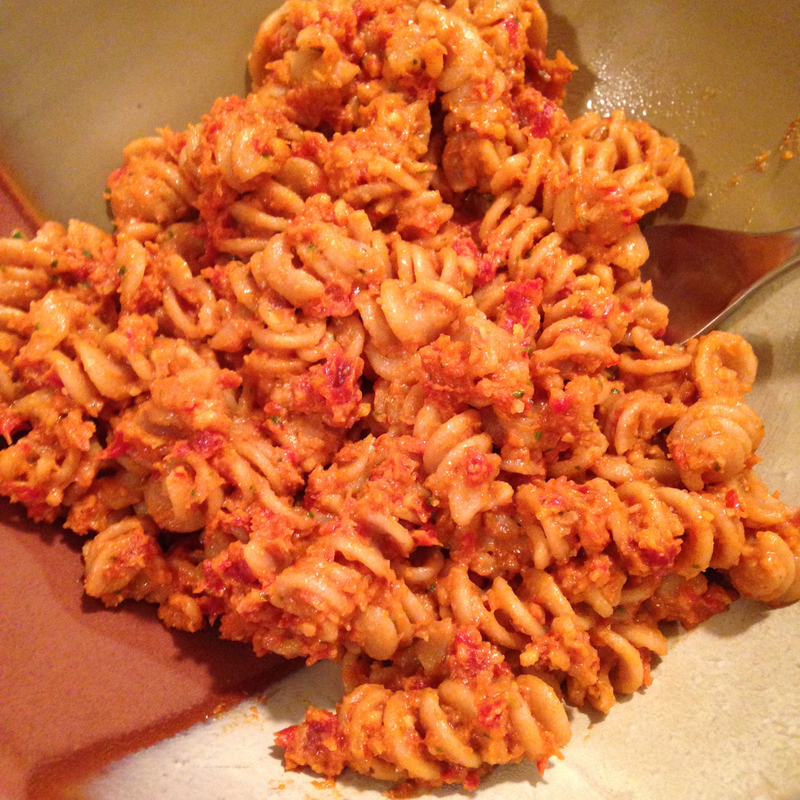 Oh, of course, we used whole wheat pasta noodles! We always do! Our next meal I need to share we had on Saturday night. 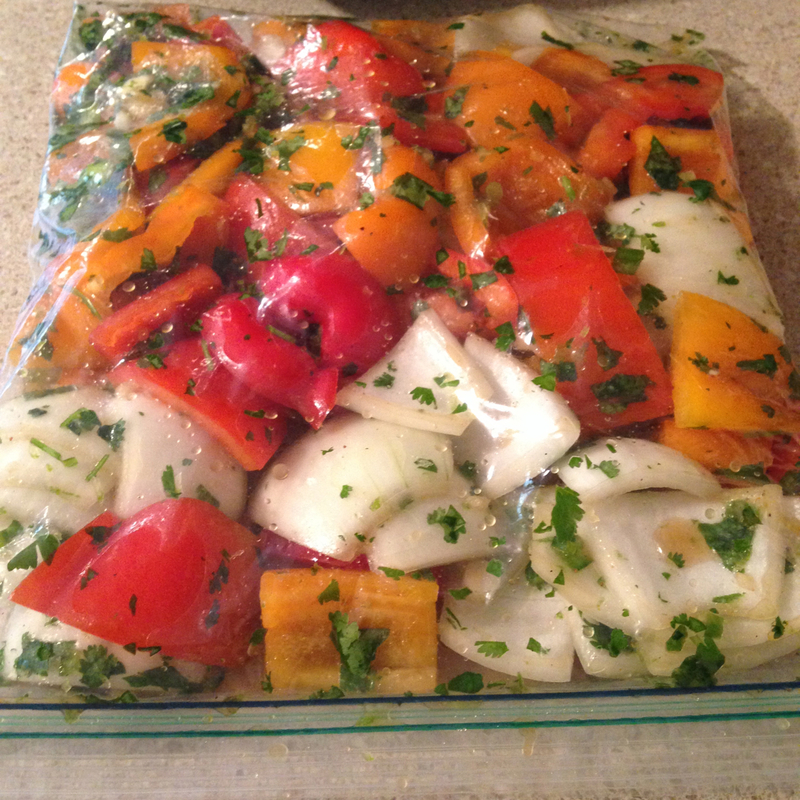 Al found a recipe for chicken fajita kabobs that interested him. Click HERE for the recipe. 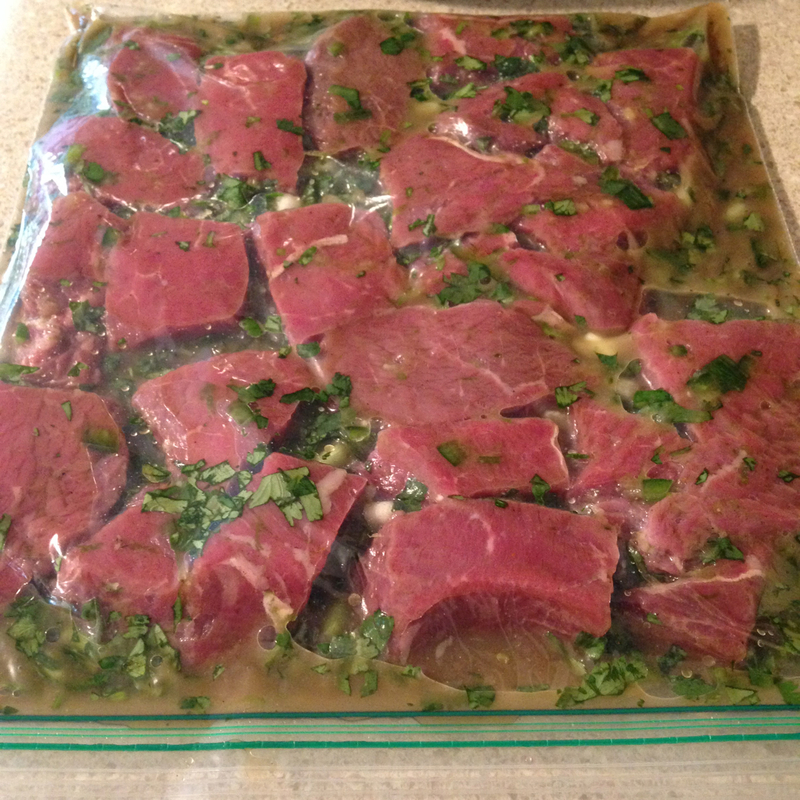 Although the chicken sounded great, we opted to change the recipe and made it with top sirloin steak, instead. 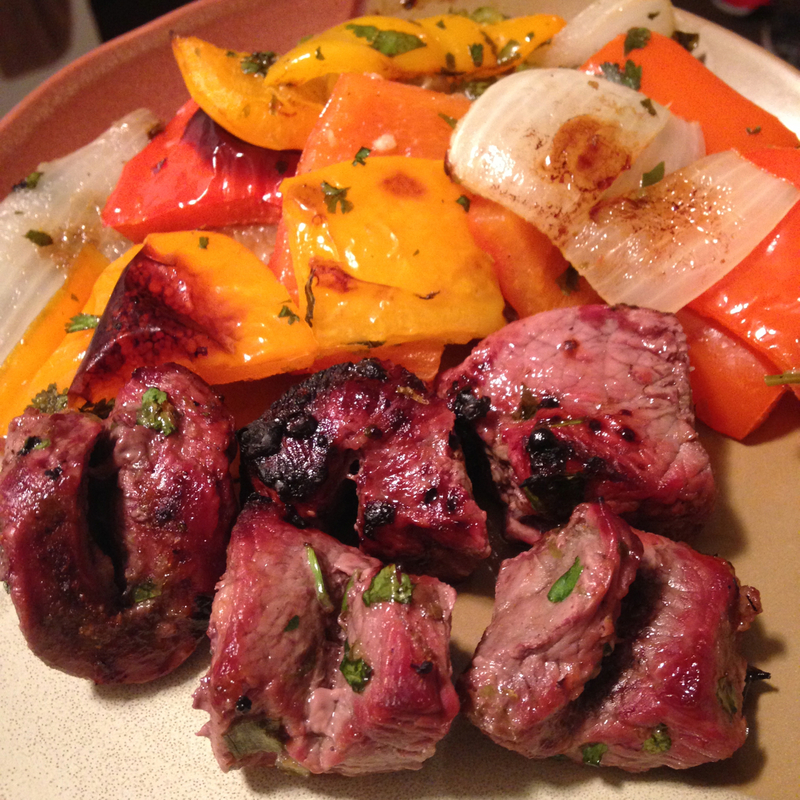 We also opted to only kabob the steak, not the veggies. We roasted the veggies in the oven instead. The meal. Yes, it was THAT good. Seriously, the meat was so tender. The only thing we would have done differently is just broil the veggies or grill them. I just cooked them in the over instead of broiled. They were slightly soggy. I like veggies more tender-crisp. If that made any sense. Being that it was Saturday night, yes, we had our usual two bottles of wine. 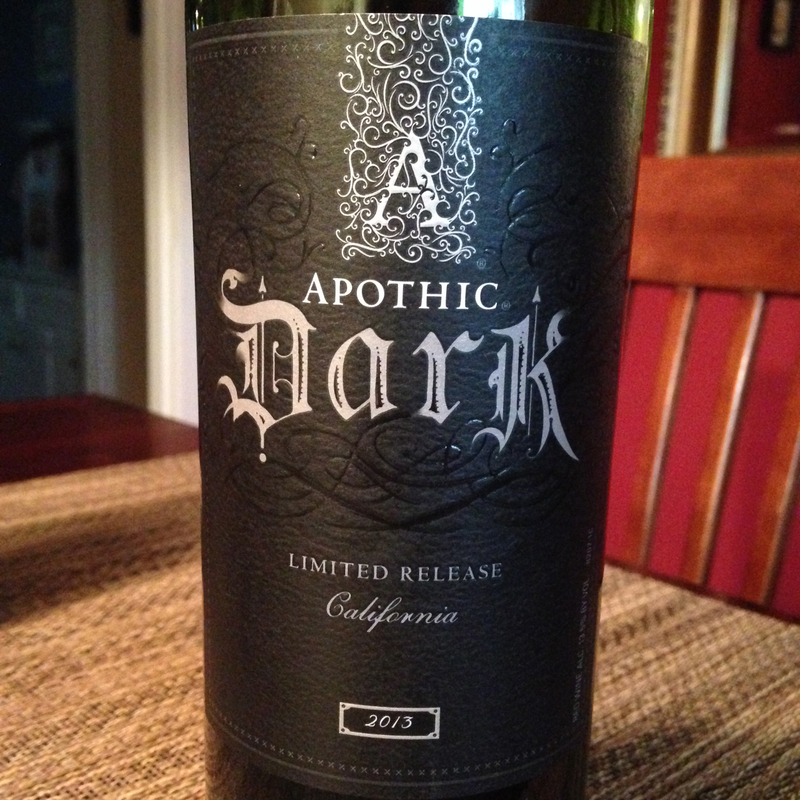 One of my favorites lately is the one on the left, the Apothic Dark. The other one was a first for us. 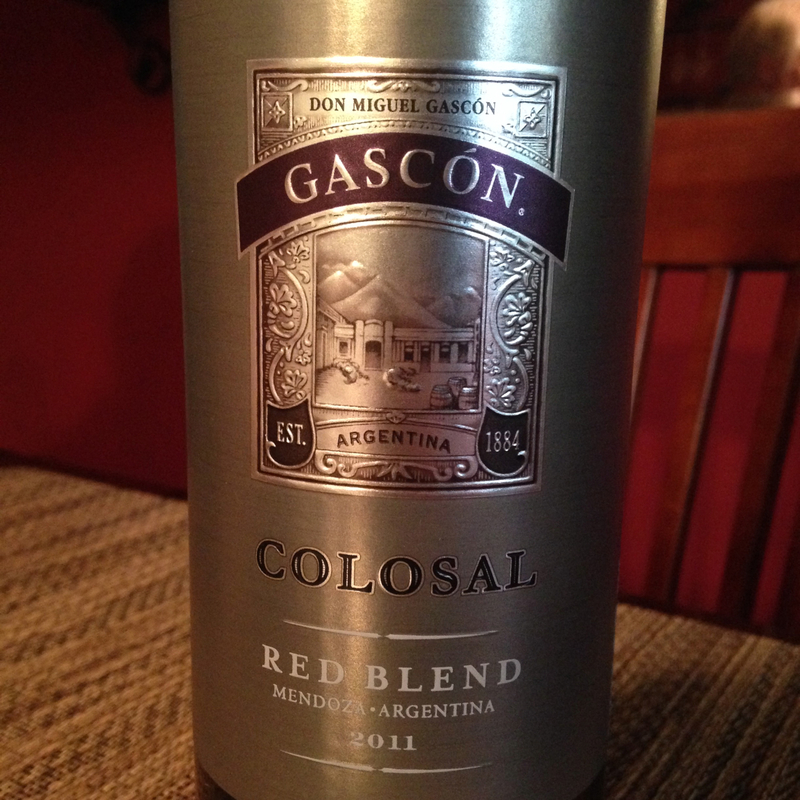 We are usually California wine drinkers, but we stepped out of the box with the other one and we were pleasantly surprised. Both wines were phenomenal – alone – and with the meal. It was a perfect pairing! And a Saturday night “date night” wouldn’t be complete without dessert! Al bought these for my birthday, which is tomorrow, but decided to let me – um, US – try them on Saturday. They were both excellent. And, my dear, Weight Watchers members, YES, I did figure out the PPVs for both of these. For two pieces, it was 3 PPVs. Not bad and TOTALLY worth it! 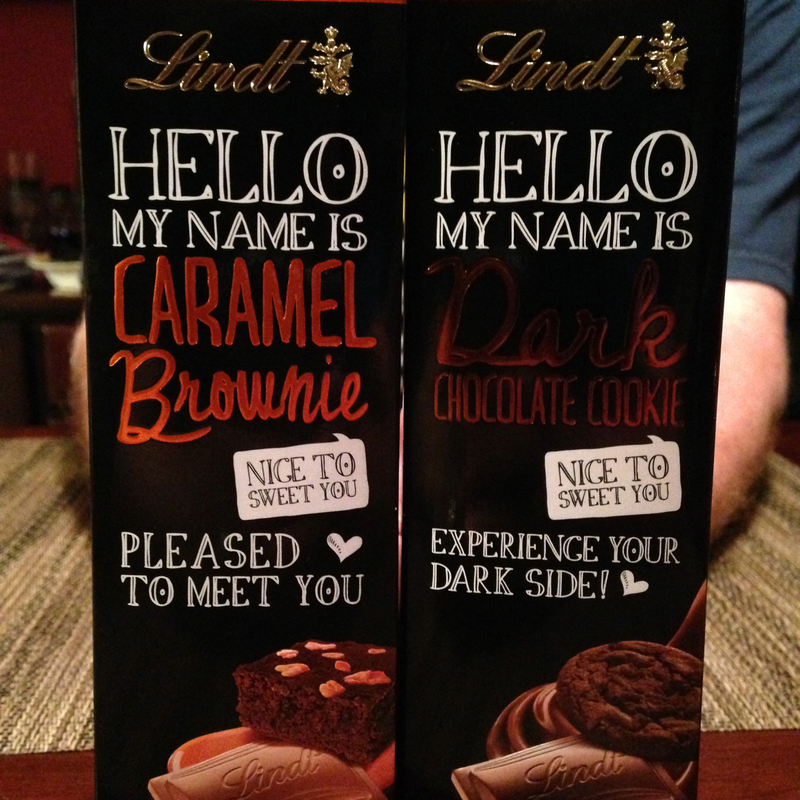 They were both delicious and even though I am partial to dark chocolate, my favorite ended up being the caramel brownie milk chocolate one. By the way, he found them at Target! So, one of the reasons I don’t or sometimes don’t track 100 percent perfectly is because I do exercise. And most often, five days a week, sometimes six. 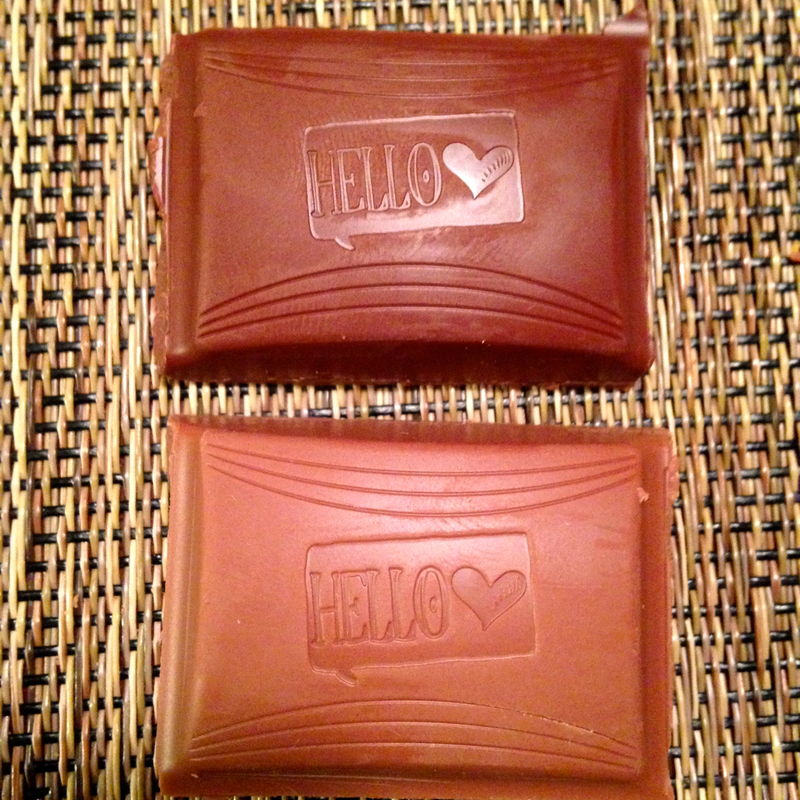 There are times, I have earned between 50 and 70 activity points (Weight Watchers members will understand this!). On Saturday, before our big steak, wine and chocolate meal, Al and I both ran 10 miles. As part of my birthday present, Al ran with me – the whole TEN MILES! Can’t say it was my best run ever. But considering I had been sick the week before and hadn’t ran or did a lick of exercising for about a week, I was okay with our run. On Saturday alone, I earned 17 activity points. Now, keep in mind that didn’t quite cover my wine! But, I ran 10 miles. I’m okay with that. Yep, it was a SLOW run. But that really didn’t bother me. Like I said, I ran 10 miles! I can remember when I couldn’t even run a mile. 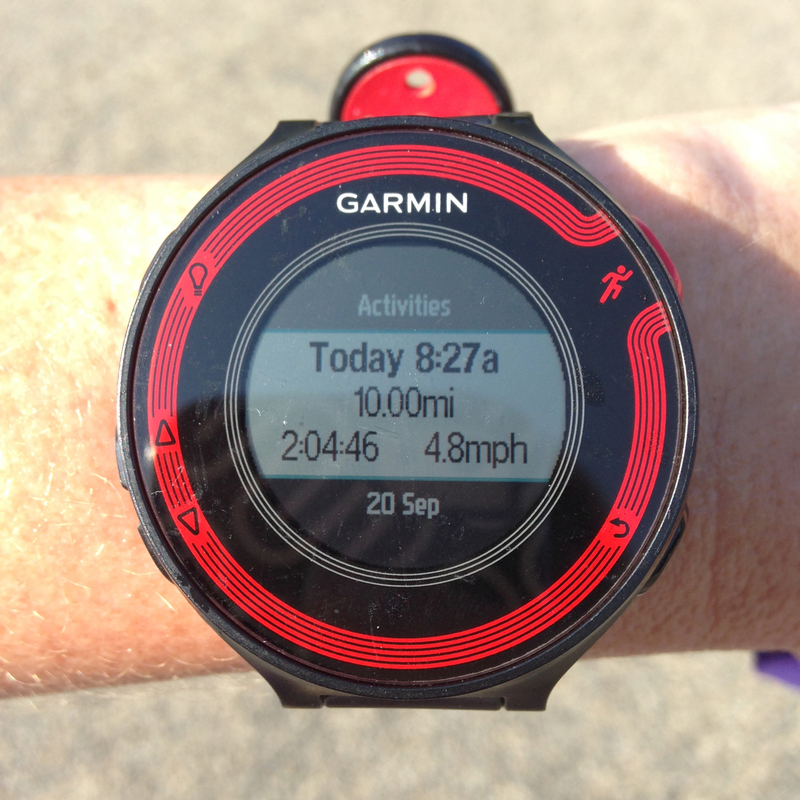 So, to do 10 miles makes me one happy girl – no matter the speed! But, of course, I know I can run faster…if I am running a shorter distance, that is! 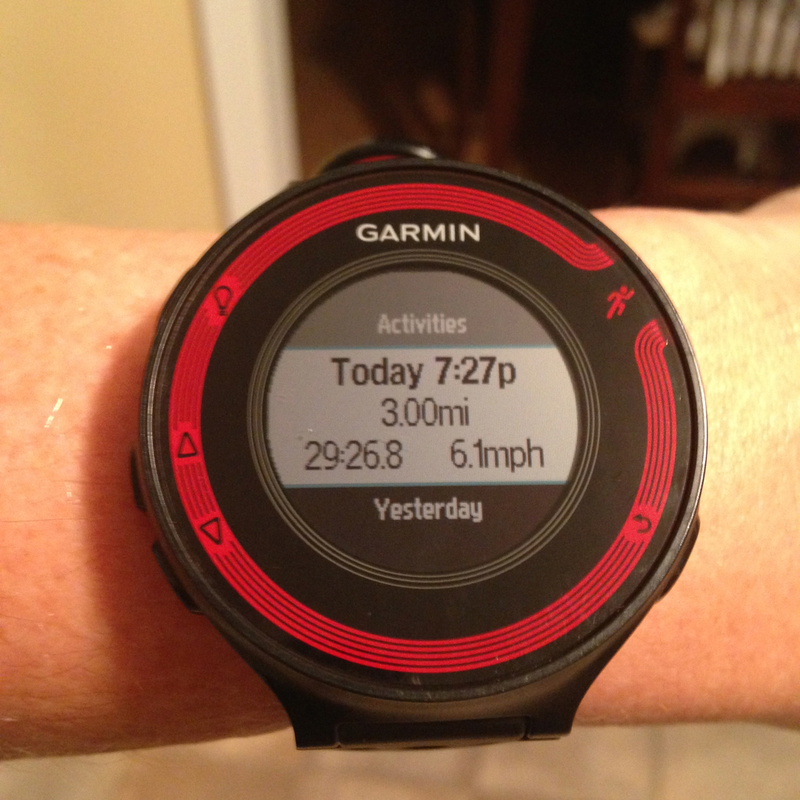 Here’s a look at my Garmin from Sunday’s run – a three-miler! Yep, I kicked it up a notch! When I got back from our 10-miler on Saturday morning, I did the one thing I love doing – legs up the wall – which I found out is a yoga move. And not only that, it is a yoga move that is highly recommended for runners! I learned the pose from erin klegstad. So, I didn’t quite do “legs up the wall,” but I did do legs up the lawn chair…and it sure felt GREAT! 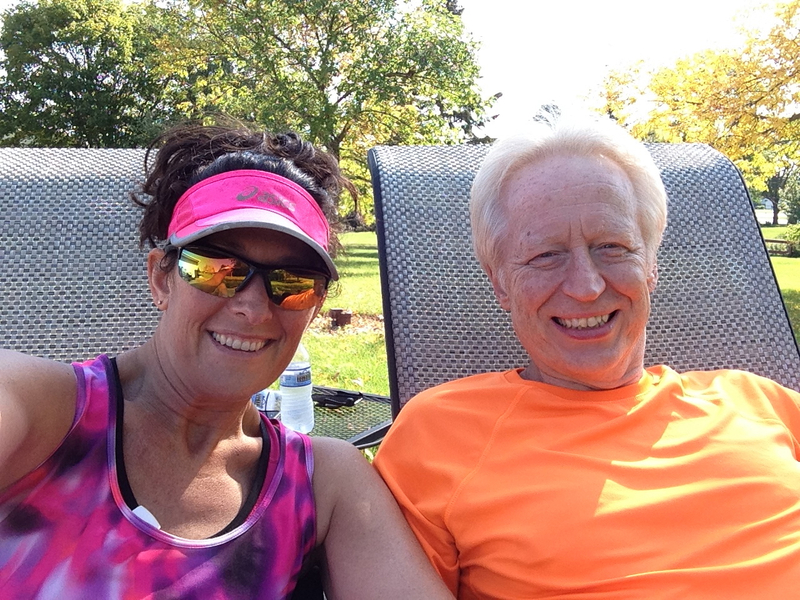 Both Al and I were very tired after the run and sat outside soaking up the sun for quite awhile. It felt amazing! That steak dinner looks AMAZING!!! I love that beer too so I know I’ll like it.